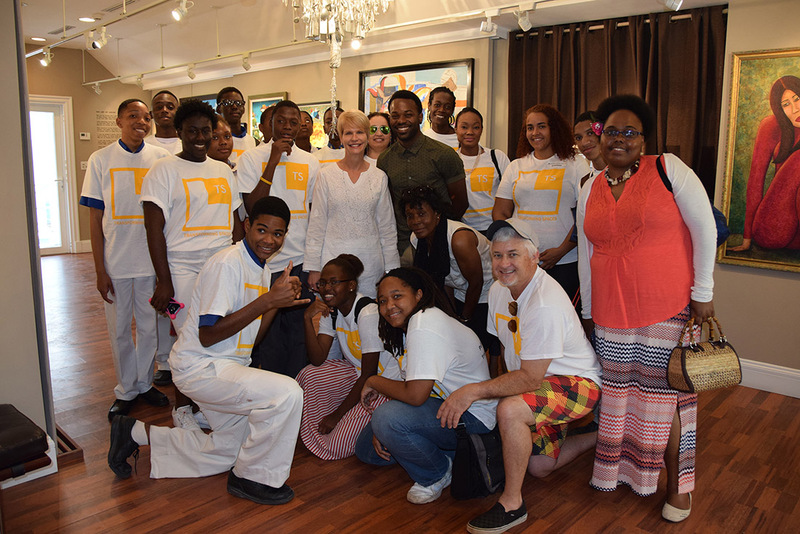 For the third consecutive year, Nassau-based law firm Glinton Sweeting O’Brien (GSO) has joined hands with the Transforming Spaces Annual Art Tour to provide more than two dozen public school students with the opportunity to experience mixed-media art whilst connecting with participating artists. During this year’s tour, students from R.M. 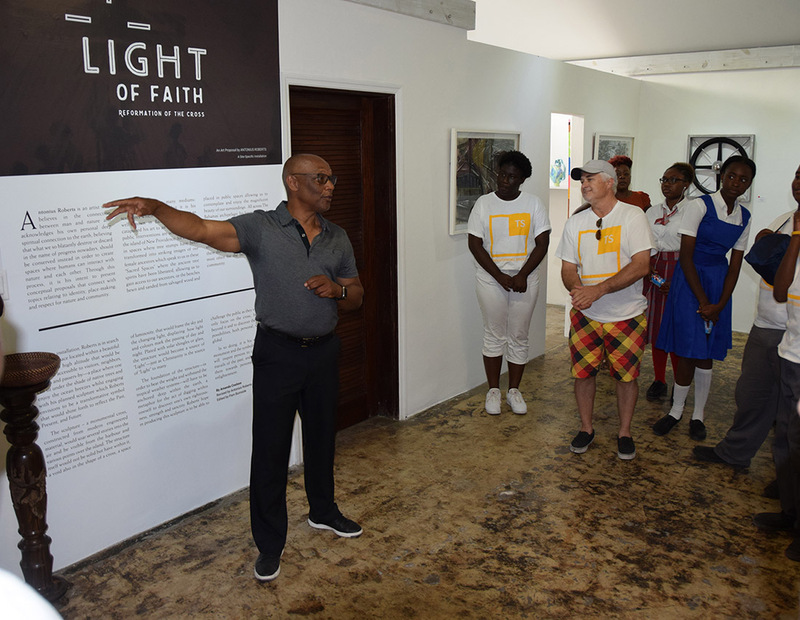 Bailey, C.R.Walker and Government High, along with GSO attorneys Andrew O’Brien and Johanna Mayson, staff and management visited six local galleries: Doongalik Studios, National Art Gallery of Bahamas (NAGB), The D’Aguilar Art Foundation, Popop Studios Art Gallery and Antonius Robert’s Studio & Art Gallery at Hillside House. 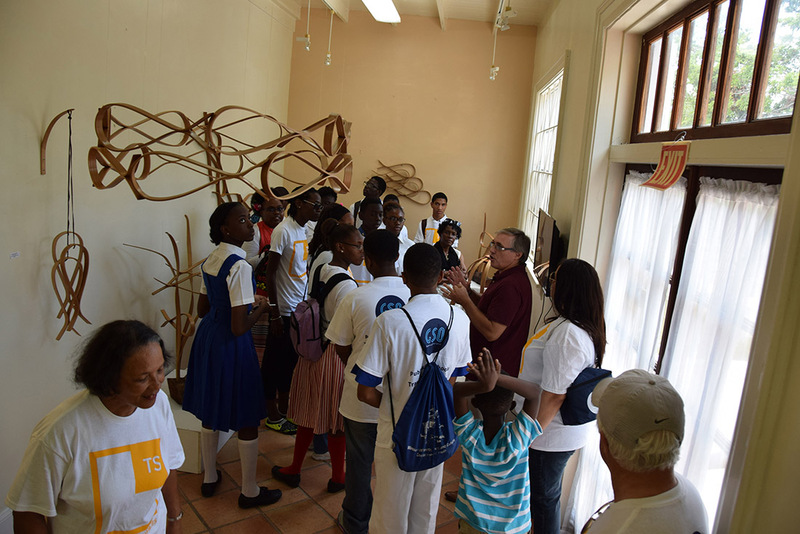 The word ‘interdisciplinary’ was the students’ take away from the D’Aguilar Art Foundation. There, they heard director Saskia D’Aguilar recite Pulitzer-prize winner Elizabeth Bishop’s epic poem, the “Art of Losing” against the context of a fancifully elegant silver chandelier made of very easily misplaced trinkets: cellphones, buttons, pens, keys and the like. It was a very moving highlight of the day. 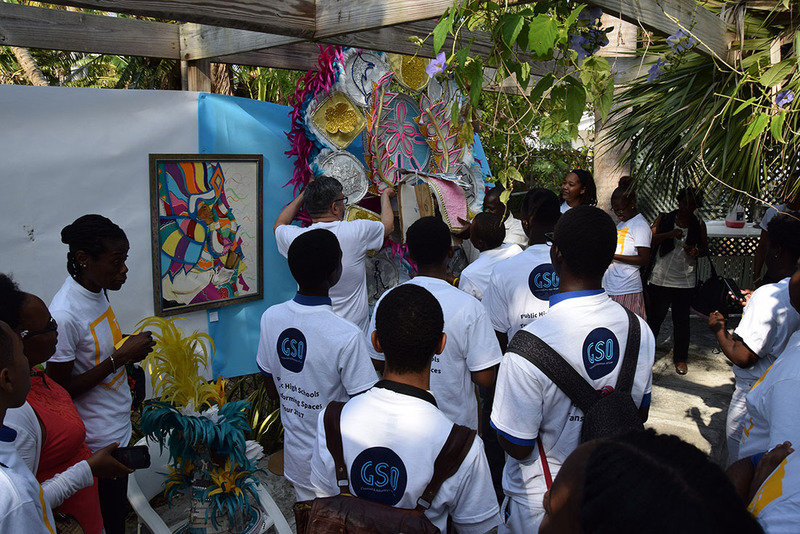 One of the participants, Simeon Damallie, a senior art student preparing for BGSCE 2017 exams, was particularly inspired by the works of art entitled “In the Beginning: Sketch and Build” with original drawings for the Genesis Junkanoo on display at Popop Studios and is now rethinking the material he intends to use in his future designs. GSO, a full service boutique law firm, supports a variety of local causes to improve the community with a special focus on the arts, education, the environment and cancer treatment and prevention. The firm fully supports Transforming Spaces’ efforts and recognizes the importance of showcasing the arts to the wider public. 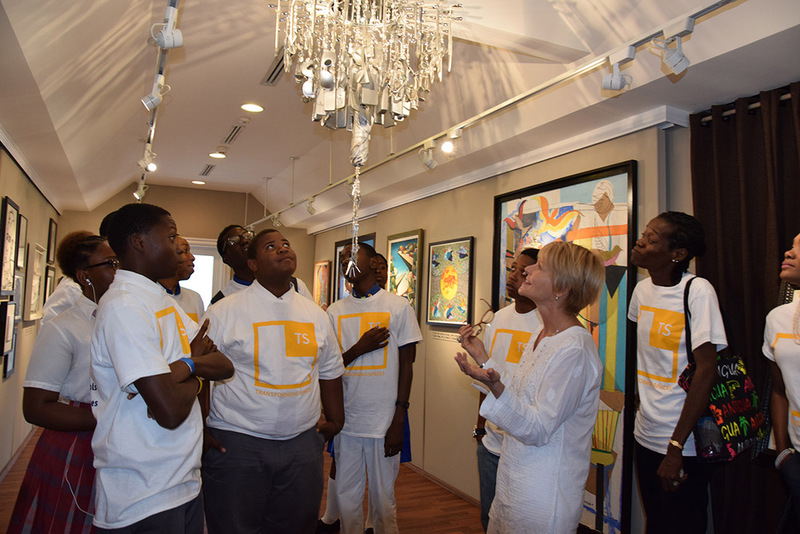 GSO intends to continue assisting students and future artists to connect with icons of Bahamian art and heritage.